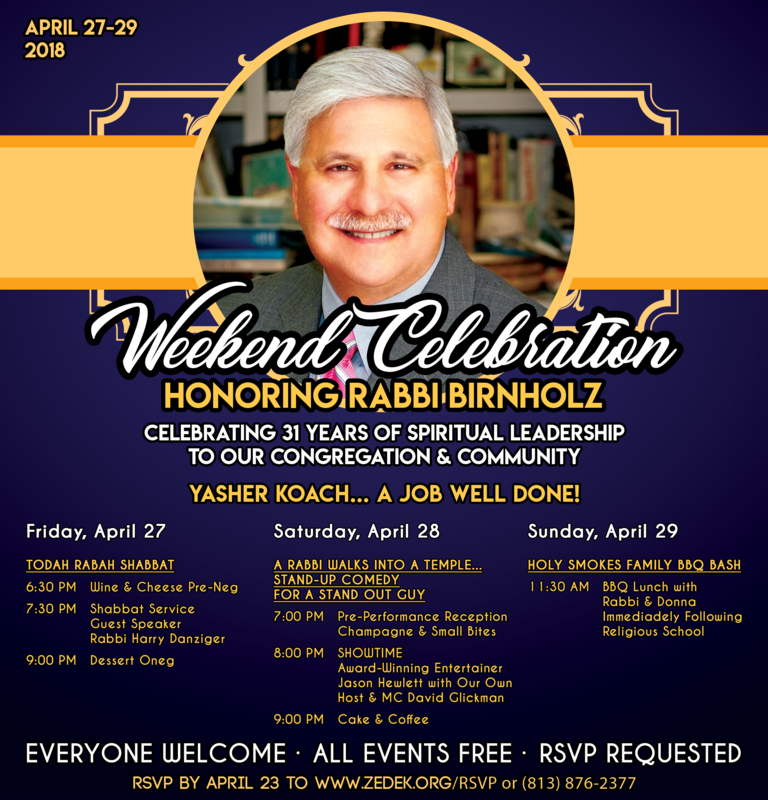 Join us April 27-28 to honor Rabbi Richard Birnolz! We are celebrating Rabbi's 31 years of spiritual leadership to our congregation and community. Click here to see a description of all the events and RSVP! Your entry will only be visible in the guestbook after we review it. You will be missed by many. In the 31 years as the Rabbi at Congregation Schaarai Zedek, you touched and made a difference in so many lives. I wish only the best for Donna and you.